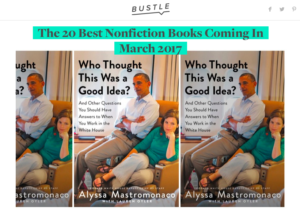 Hida Viloria | Born Both Makes Bustle’s 20 Best Nonfiction Books of March List! I am absolutely thrilled to announce that my memoir Born Both: An Intersex Life (Hachette Books, March 14), has been listed by Bustle as one of the 20 best nonfiction books coming in March. Big thanks to Bustle for this inclusion!